All our products are PROUDLY handcrafted in the U.S.A.
Do you have a bell but the cradle is missing, the handle is broken, etc.? 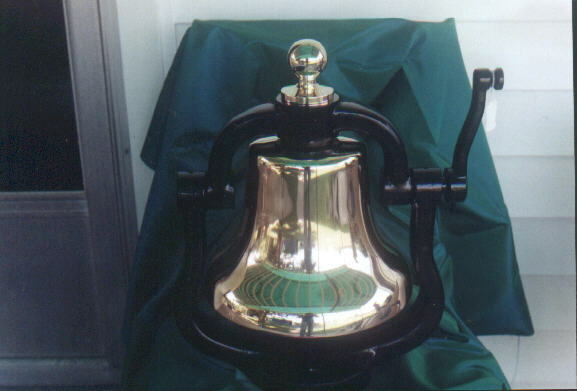 Would you like to be able to ring your bell again? We have cradles and parts to fit most standard Railroad Bells! 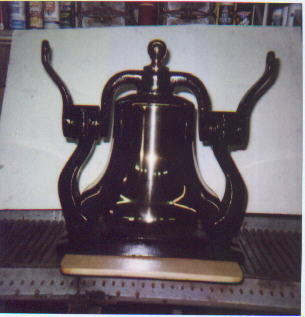 Brass bell cleaning and polishing. Bell cradle cleaning and repair. Brass bells bought and sold. Custom castings made - small quantities welcome. Click on the number plate above to view more examples. All contents of this website are the property of Larry and Barbara Curran. Any reproductions, copies of, or use of the information and photographs of this website are strictly forbidden without the written permission of The Currans. Copyright � 1999-2007. All Rights Reserved.